SMART Talk – Successful Marriage And Relationship Talk – unveils the secrets to effective relationship communication. In this simple-to-follow book you will learn the essential guidelines you must use if you want to be heard and understood. You will learn how to release your emotions and clarify your thoughts so you may express yourself in the clearest possible way. Through each part of SMART Talk I will personally guide you through the same steps I take my therapy patients. You too can heal and improve your relationships and your relationship communication, just as my patients have. In SMART Talk I will walk you through each step of the six step SMART Communication Model for Successful Marriage and Relationship Talk. The SMART Communication Model will give you a simple guide you can follow to clearly and effectively express your needs, feelings, and desires in a way that will allow yourself to be heard and understood without blame or hurt feelings. The SMART Communication Model is clearly illustrated each step of the way with two example scenarios: a man and woman relationship communication scenario and a mother and teenage son relationship communication scenario. In addition to your current relationships, the SMART Communication Model is also an effective tool for healing past relationships and experiences. In SMART Talk I will show you how to get the most benefit from the SMART Communication Model including releasing emotional pain and conflict. The SMART Communication Model can be used to release and resolve emotional conflict and pain from past abuse, neglect, and other situations where it may be unhealthy or harmful to directly confront the person or the person has died or is no longer available. 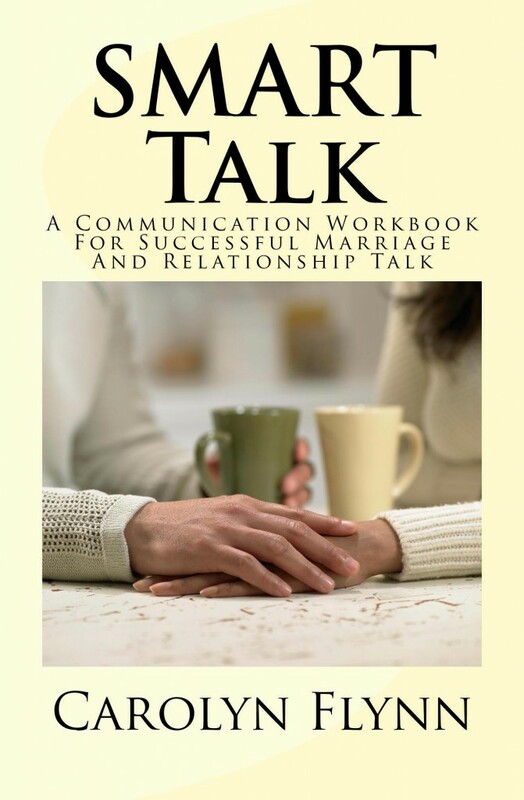 Get your copy of SMART Talk: A Communication Workbook for Successful Marriage and Relationship Talk at your favorite online bookseller. Click on the store links below to purchase your paperback or ebook copy of SMART Talk now. SMART Talk is also available internationally and at bookstores not listed below.